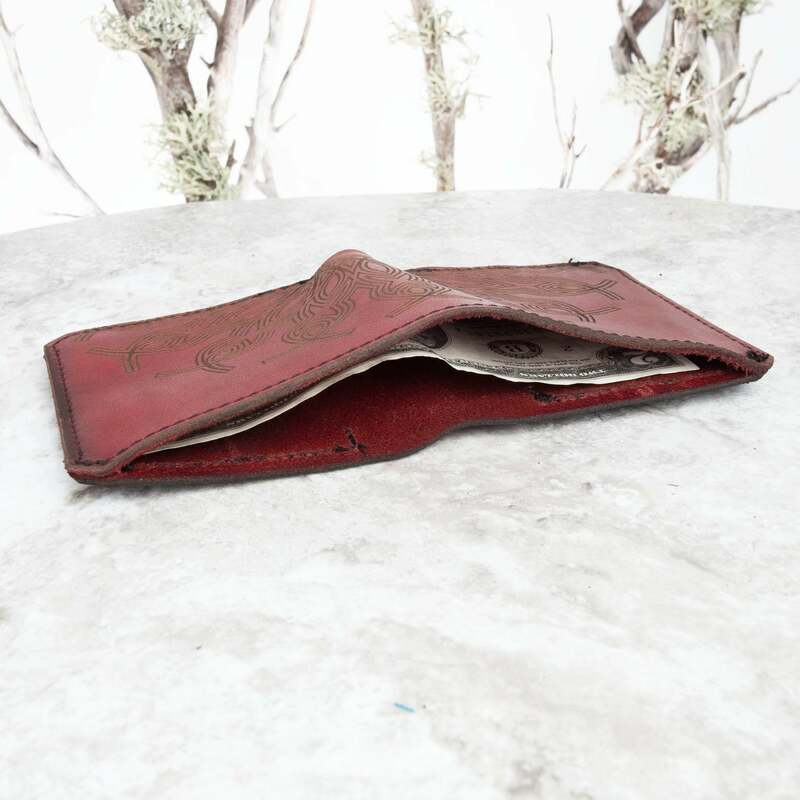 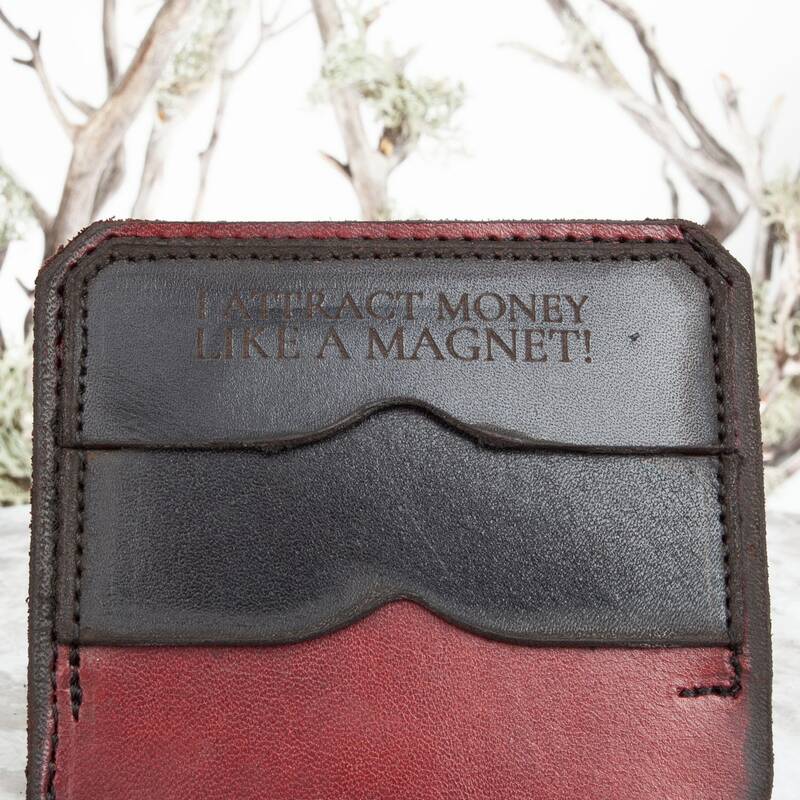 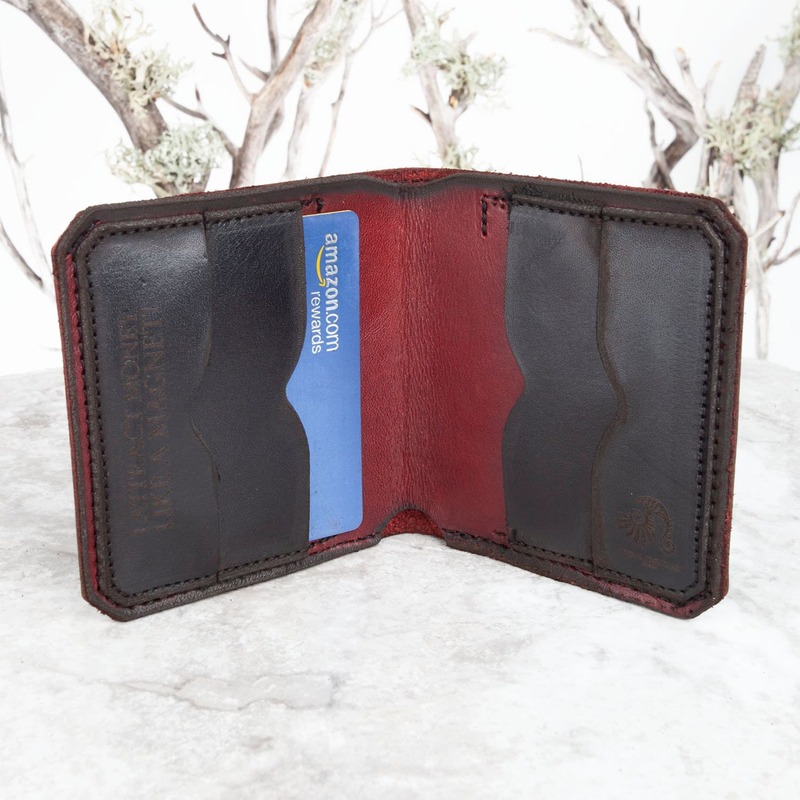 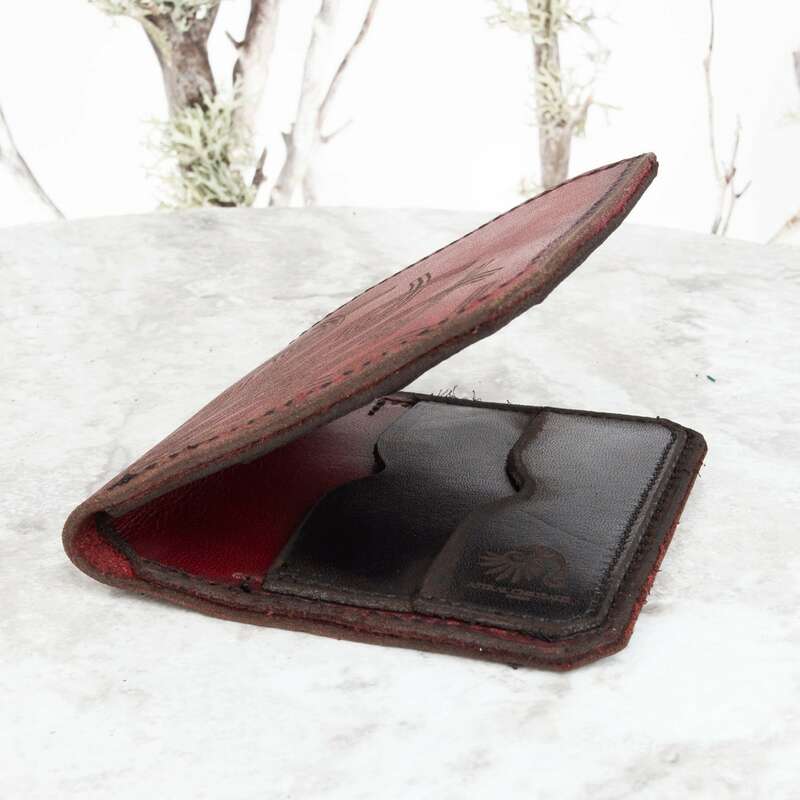 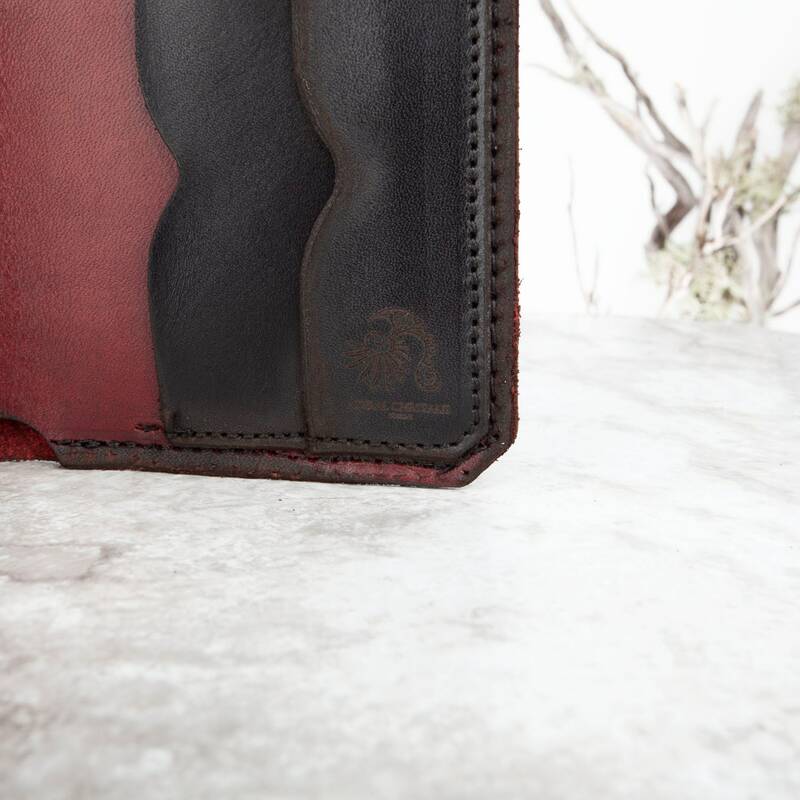 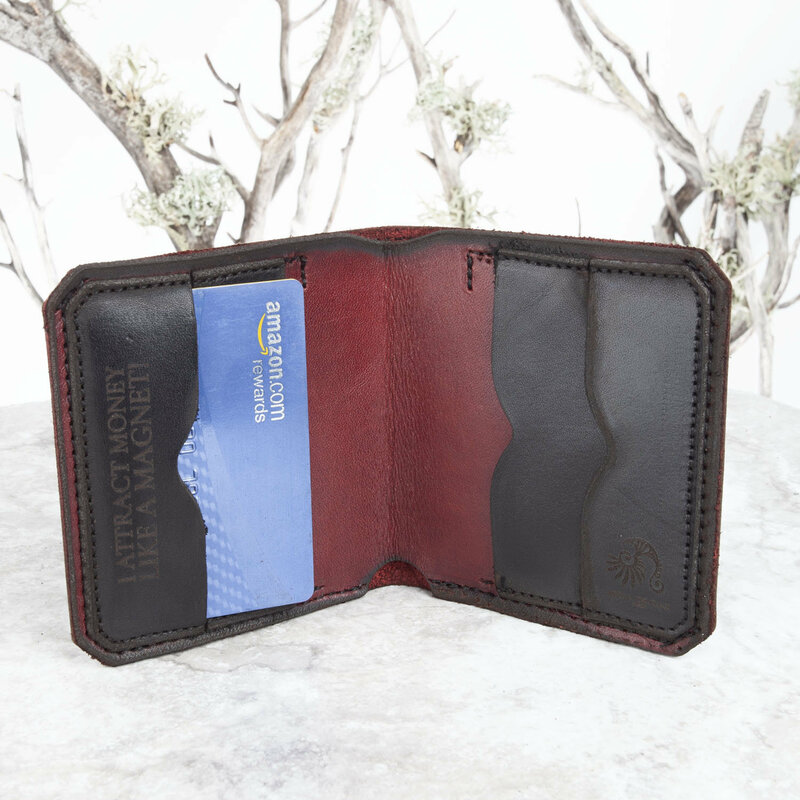 A tough multilayer waterproof Latigo leather bifold wallet that is built to last. 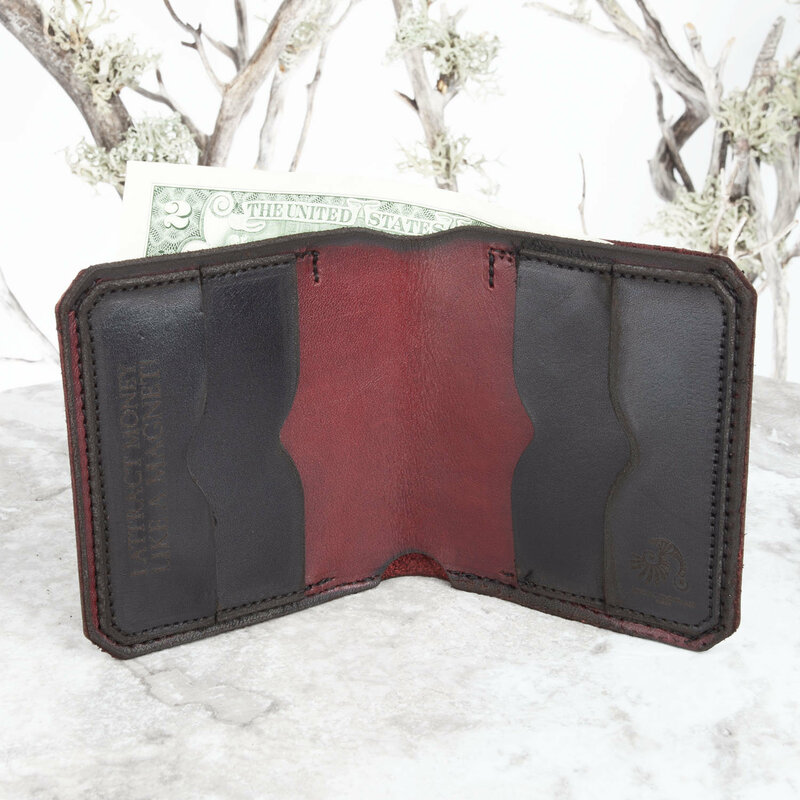 Red Leather Exterior and Black Leather Interior. 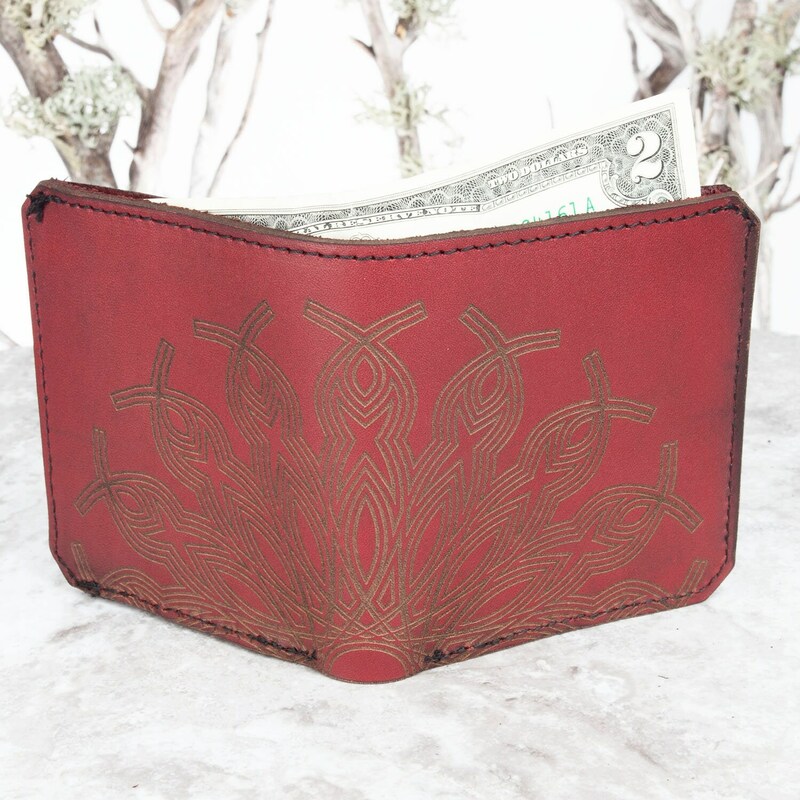 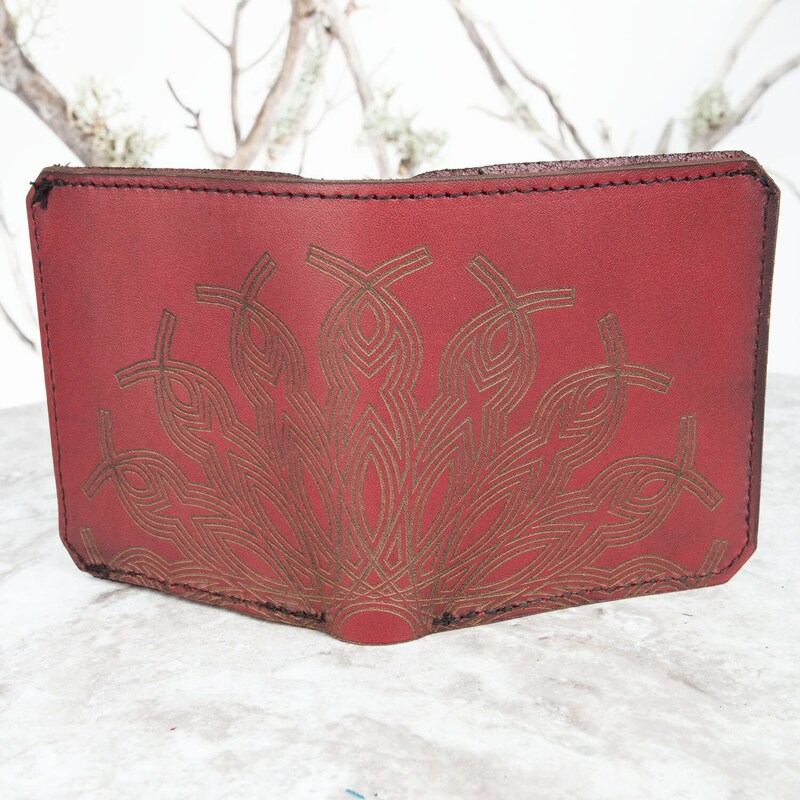 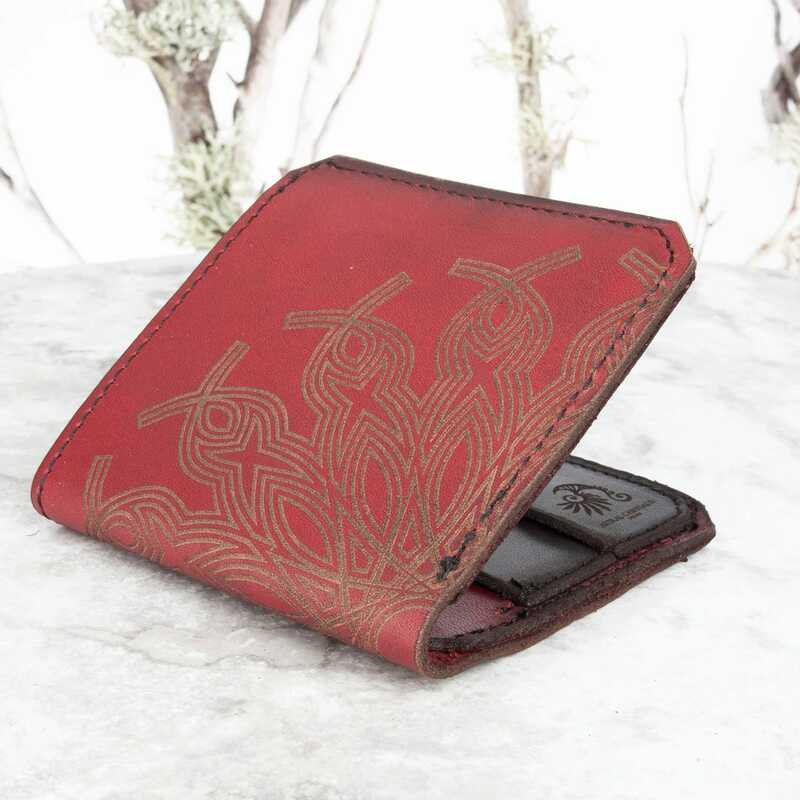 Laser engraved with an original art mandala, 4 credit card slots and black stitching.